Don’t be fooled by the name; there are more than just rocks here. The rock garden is a place for outdoor sculpture, hidden gateways, waterfalls and pools. 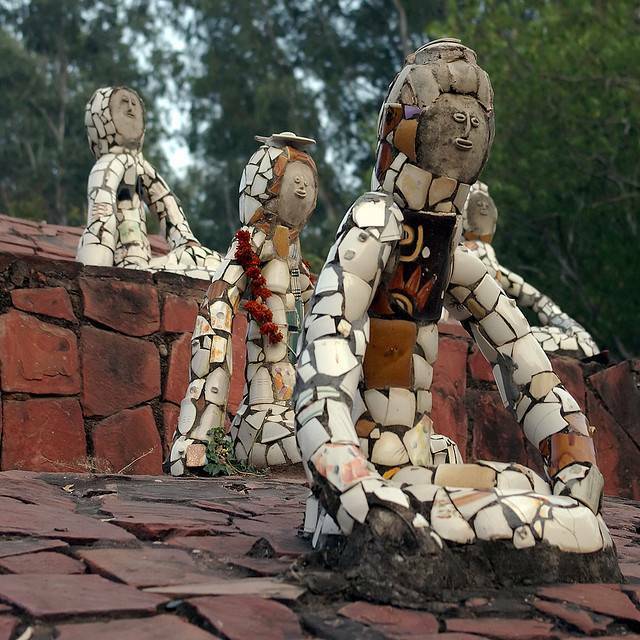 The rock garden was designed by Nek Chand, who was a Road Inspector in the Engineering Department of Chandigarh Capital Project.. It has structures designed from industrial and urban waste. It is established in the form of an open air exhibition hall. The Rock Garden is almost a heritage site and a trip to Chandigarh is not completed until you have visited the Rock Garden.